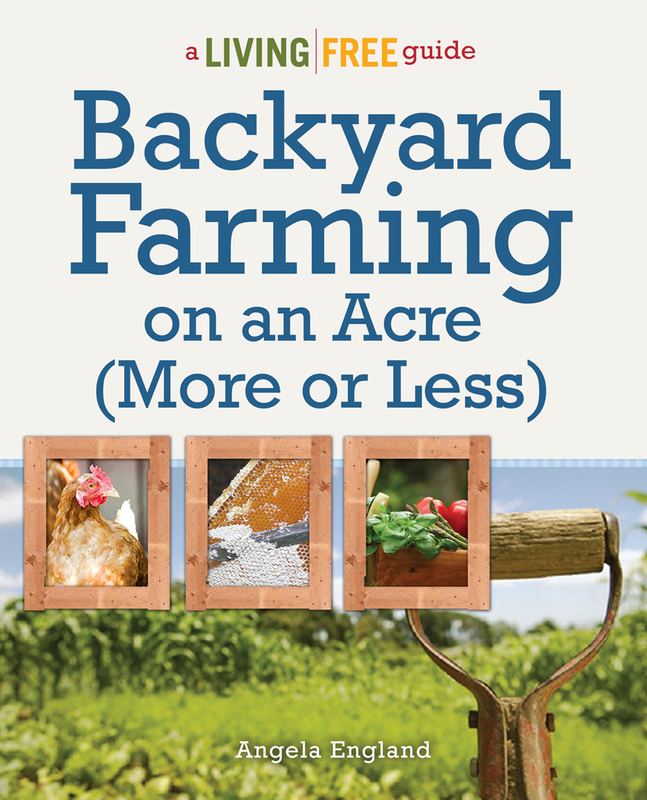 Are you a fan of Backyard Farming on an Acre (More or Less)? Want to help spread the word? 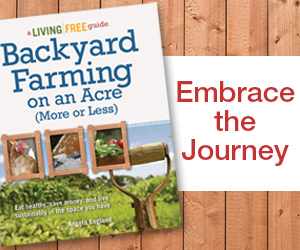 There are a couple ways to help support the book and me. 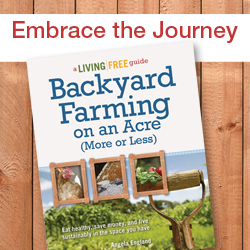 If you want to share Backyard Farming on an Acre (More or Less) with your blog, radio, or magazine audience please feel free to grab one of these banner ads below and use them in your sidebars, blog posts or publications as needed. 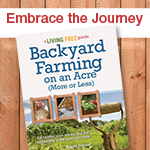 You are free to either link back to http://backyardfarmingguide.com or use your amazon affiliate program to link directly to amazon and earn affiliate revenue for yourself as you promote the book. 1. Pick up one of these ad blocks and put on your blog. Here is a link to the book cover art if you need it for a post or article. 3. Interviews, Guest Posts, or Speaking Gigs. Keep your ears open for any opportunities that make sense for me to participate in! Whether online or in person I’ll be around the US quite a bit this year traveling and hope to connect with some of you! Email me at angela@untrainedhousewife.com for more information.